Worrier scout cummerbund. 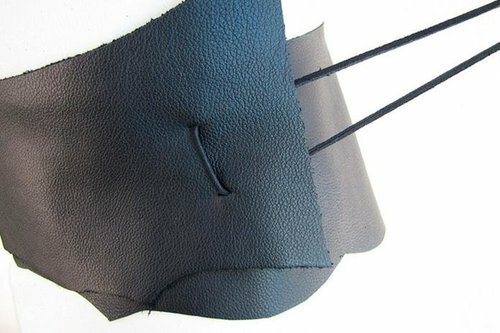 Fine lambskin construction. 24 inch suede tie lace. Raw edge with organic die. 34 inches in length. Made in Italy.